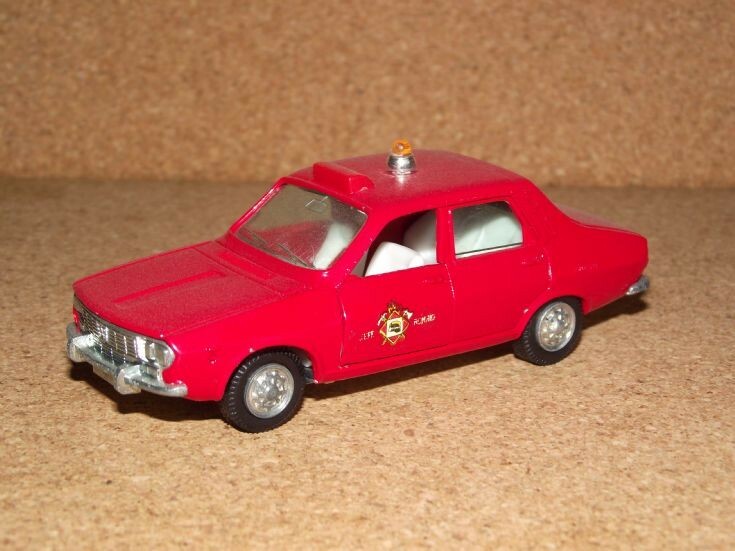 Renault 12-S Jefe Bomberos (Fire Service) vehicle. Opening Front Doors. Amber Beacon On Roof (Official Fire Service Colour Roof Light in Spain). Manufactured in Spain by Auto Pilen. Model # 503. Scale 1:43. Die-cast metal. Photographed 2012.